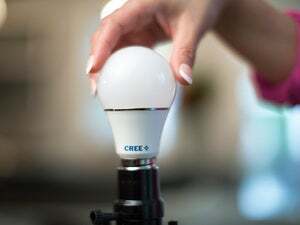 Cree’s smart bulbs work with a variety of smart-home hubs, but that means Cree has a lot less control over the user experience. Note:This review supercedes our earlier opinion of the Cree Connected. You'll find our original review here. Cree offers a ZigBee lighting solution, but only part of it. Cree makes the bulbs, but it doesn’t make the hub or the software to control it. For that, you’ll need a third-party product, either Wink, SmartThings, WeMo, or another certified ZigBee bridge. This is both good news and bad. If you already have a ZigBee smart-home setup and want to add lighting to it, a solution like this makes a lot of sense. The bulbs are cheaper (at $15, they’re half the price of higher-end units), and since you will already have the hardware installed and running, adding these bulbs to your network is seamless. Screwing in a few bulbs and figuring out how to set dimmers and timers should require no real effort or learning curve. On the other hand, if you don’t already have a ZigBee hub in your house, getting started with one will be considerably more complex than any of the other solutions in this roundup. Because you’ll be installing equipment from a third-party vendor, you’ll have to spend some time hunting down the appropriate installation guide (which can be decidedly non-intuitive) to get things running. In the case of trying to pair a few Cree bulbs with a Samsung SmartThings hub, that meant a day of fiddling around before, abruptly, the system finally started to work. When controlled by a conventional dimmer, the Cree Connected will dim partially, but it turns off early in the curve. It won't dim at all when used with a Z-Wave dimmer. 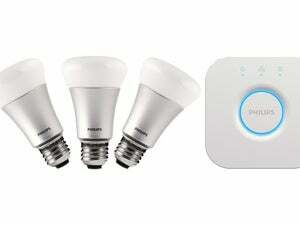 In practical terms, the management of these bulbs is dependent on your ZigBee hub and the software included with it. SmartThings doesn’t have the simplest or most attractive interface, but it isn’t entirely fair to judge Cree based on that. That said, using the SmartThings app to control bulbs is noticeably slower than other solutions, with a significant delay when either turning them on or off or setting a dimming level. Whether this is a function of the hub or the bulb is up for debate. Similarly, any add-on features, like IFTTT hooks, will be contingent upon the support your hub offers, not the bulbs. 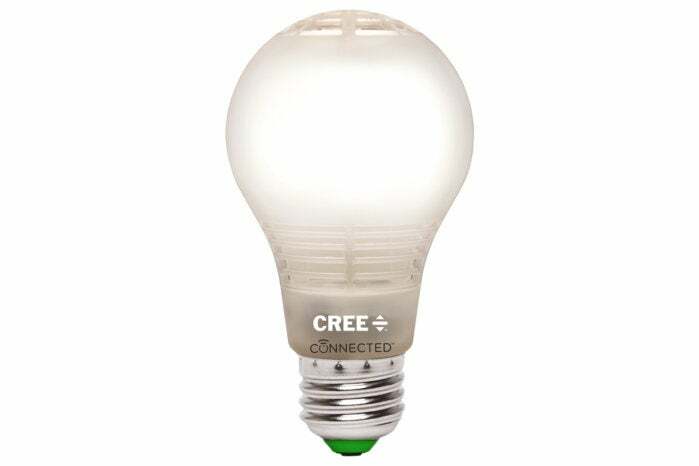 As for the bulbs themselves, Cree’s Connected LEDs are unfortunately quite homely, the primary bulb component made of two pieces of plastic snapped together, with a circular vent at the top of the bulb and a cardboard diffuser inside. 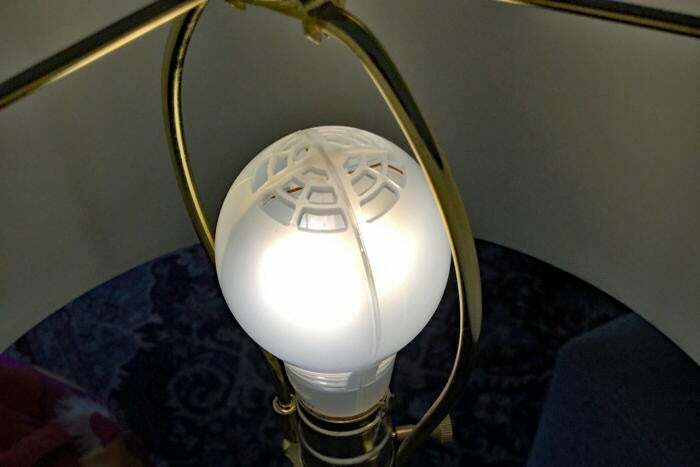 The bulbs don’t look durable or high-quality, though the plastic construction may arguably make them tougher than glass. Light is bright at 815 lumens, with a good spread in all directions. The downside of the Cree bulb is that the light isn’t tunable at all. It’s preset to 2700K, a typical incandescent temperature. Again, bulbs can be dimmed and powered on or off via a third-party app and hub, but that’s the extent of it. The bottom line: These bulbs are suitable exclusively for smart-home enthusiasts who don’t care what their bulbs look like, don’t already have a smart lighting setup, and who have limited tuning needs.